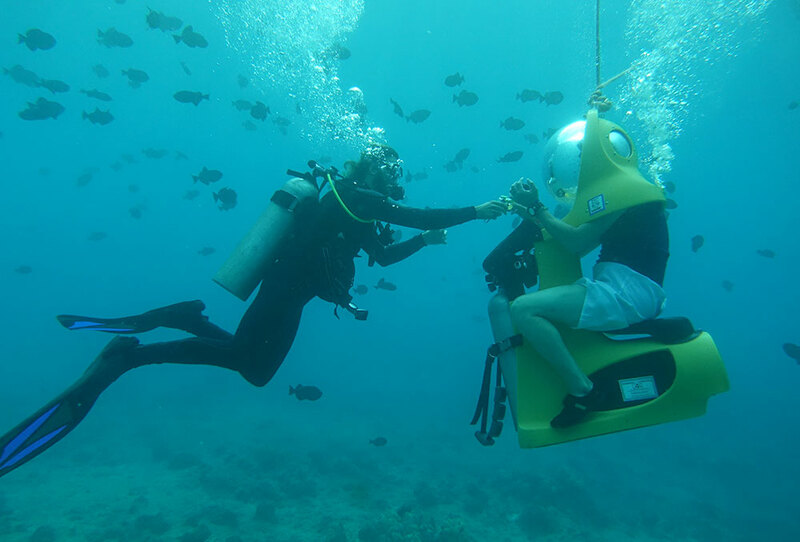 Take a stroll in Hawaii's beautiful ocean on our underwater scooter! 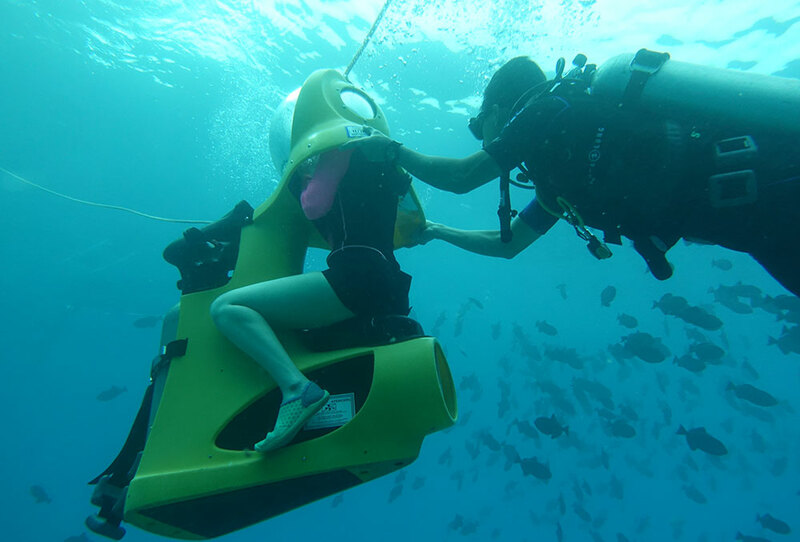 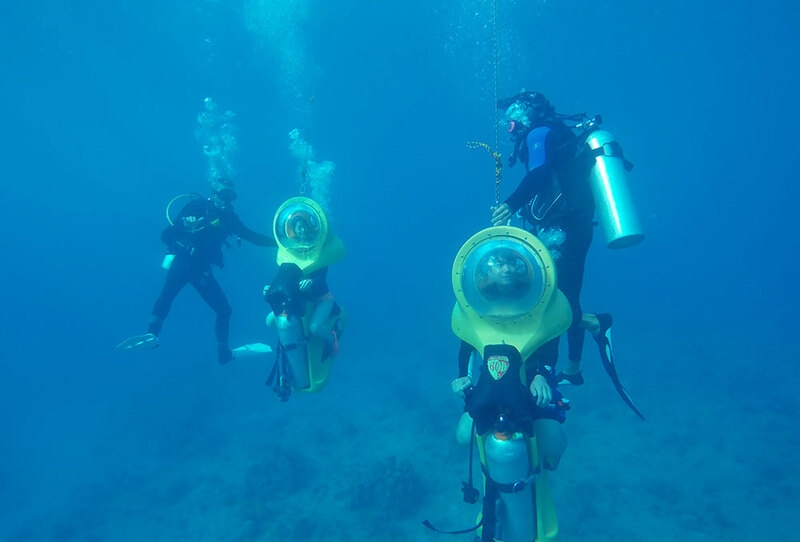 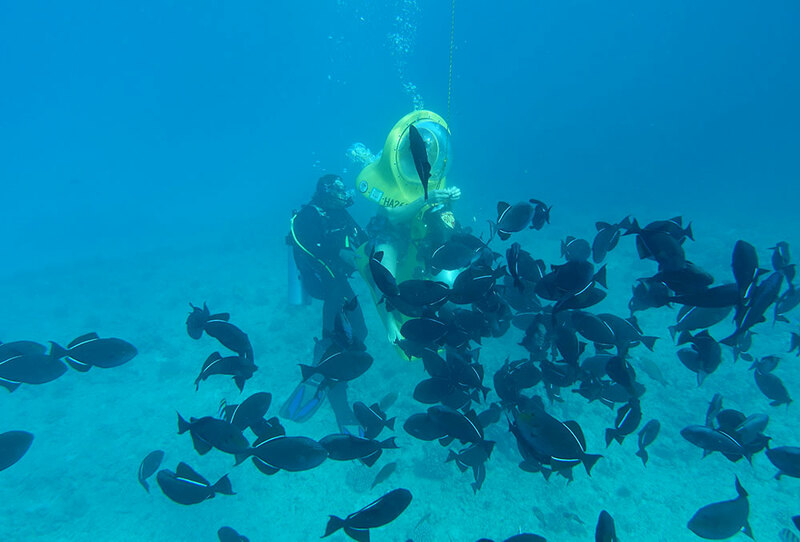 Take a stroll in Hawaii's beautiful ocean with the most talked about ocean activity, underwater scootering! 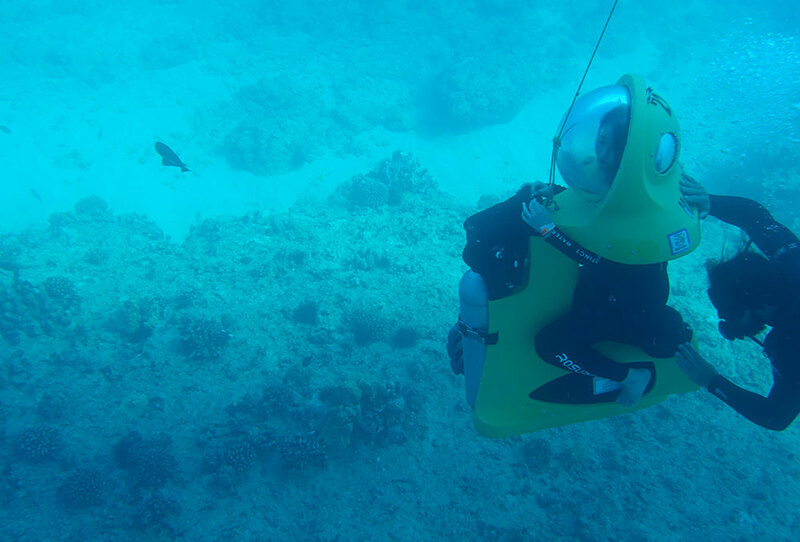 With an underwater scooter, you just sit on it and have it take you to where you want it to go at a comfortable and safe speed. 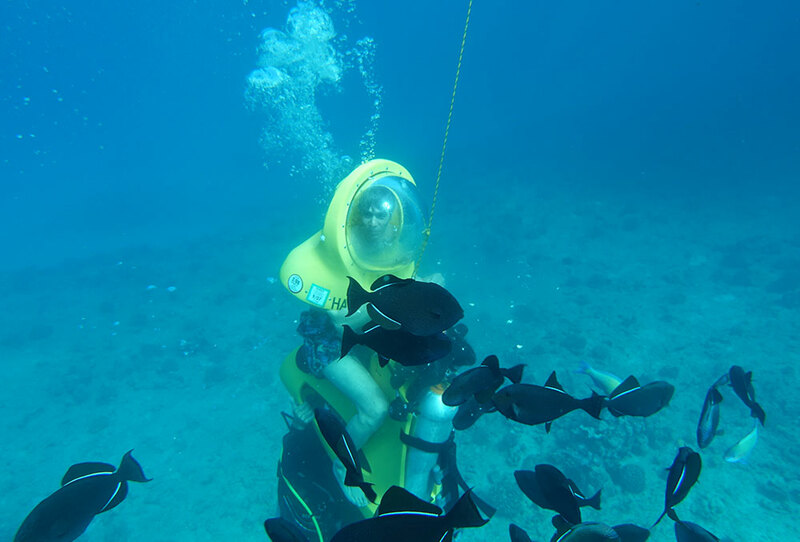 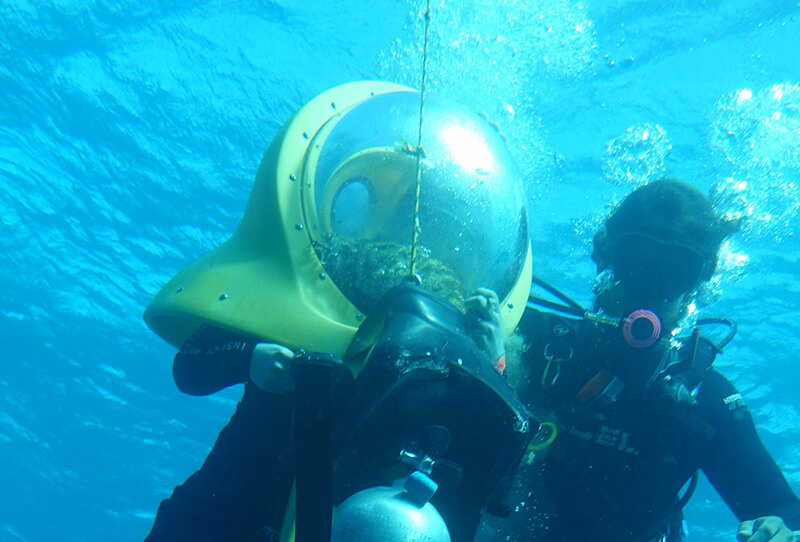 The helmet has a large curved goggle-like architecture which enhances your peripheral vision and enables you to see more of Hawaii's beautiful ocean life. 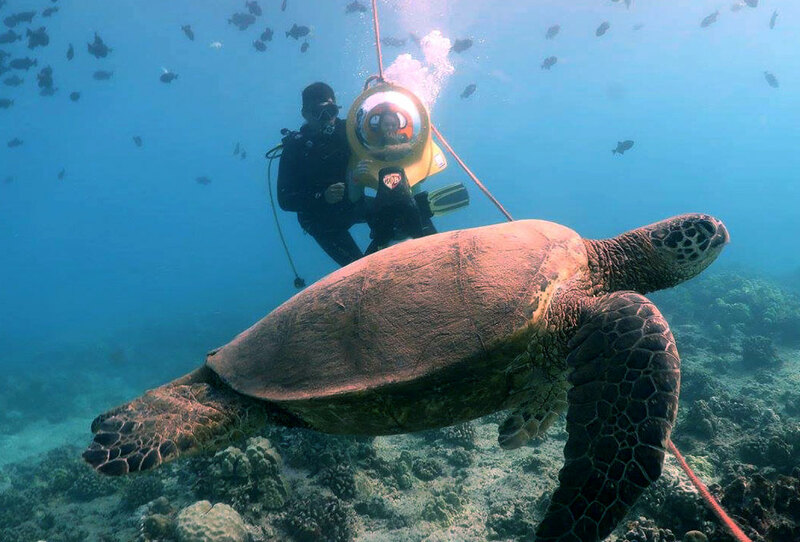 You are accompanied with a guide who leads the way so you can enjoy your tour. 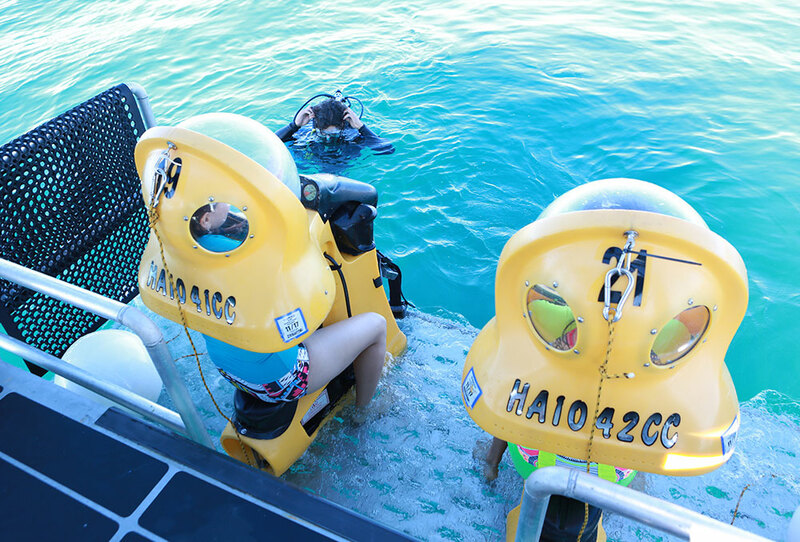 You can also add jet skiing, parasailing, and other activities to create the ultimate ocean sports experience! 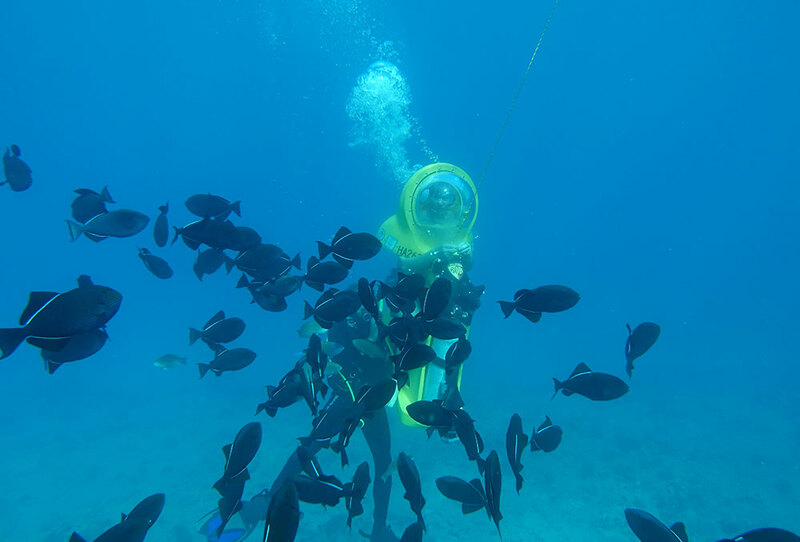 Those with prior history of high blood pressure, heart disease, and/or are on medication are not advised to participate in this activity.